The Hallmark Hotel Bournemouth East Cliff (formerly part of Menzies Hotels) stands on Bournemouth’s famous East Cliff with splendid views across Bournemouth Bay. Offering a truly contemporary feel with its bright, modern interior the hotel has proudly taken its place as one of Bournemouth’s most popular four-star hotels. 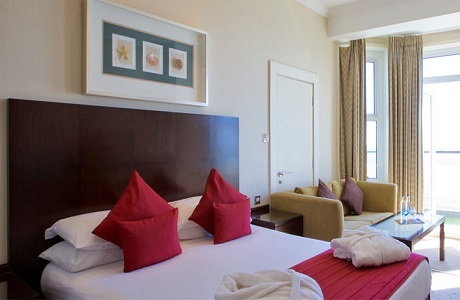 All of our guest rooms have been stylishly furnished for you to relax and unwind in comfort. 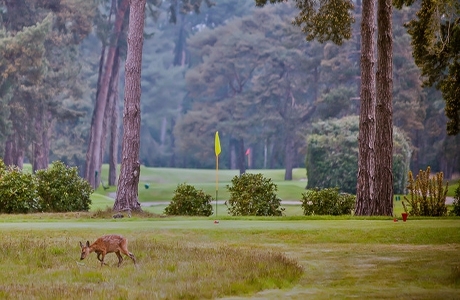 Ferndown Golf Club was founded in 1912 and is just a few miles north of the beautiful coastline. Cutting across a sandy outcrop of heathland, the course's fairways were skilfully navigated through handsome pine woods and heath. 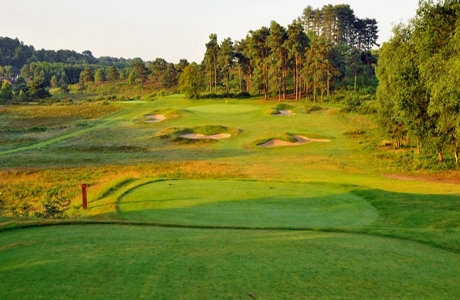 Broadstone golf course is set in the glorious Dorset countryside on unspoilt heathland. It deservedly sits in the Top 100 golf courses in the UK with its rolling terrain, natural heathland and swathes of heather, pine, gorse and rhododendrons. Remedy Oak is a strong 18 hole, par 72 golf course . At 7,004 yards it meanders through a backdrop of hardwood trees, conifers, heather and water coming into play on eight holes. The course abounds with the natural beauty of its surroundings.